The “Nest” folding baby chair is an innovation, developed out of necessity. The chair is made of natural, child-friendly materials. Its design ensures adequacy for children, firmness and wear resistance. 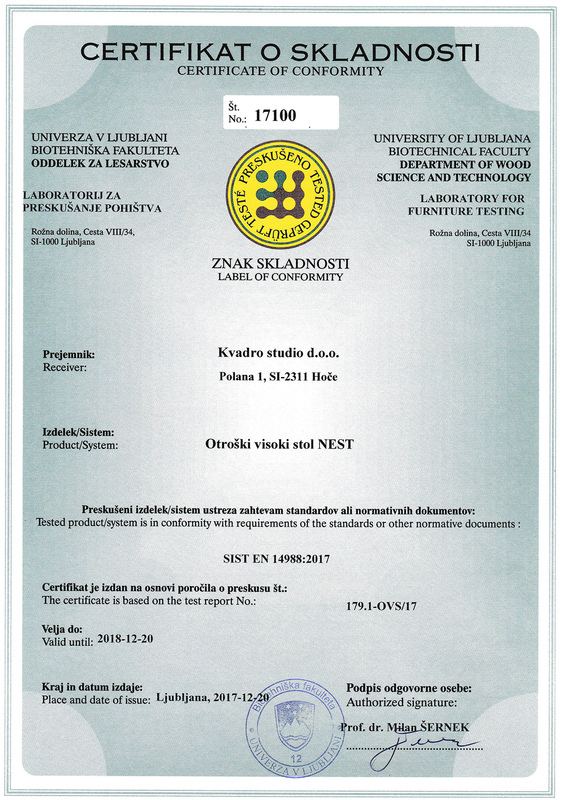 For the “Nest” chair, we received a certificate, based on the tests according to the EN14988:2017standard. I like this chair very much! Are You looking for a safe & space saving toddlers chair? The “Nest” folding baby chair is an innovation, developed out of necessity to save space in small places.